I can now blog about a Christmas gift I made. This little pin inspired me to make a tea pot holder. 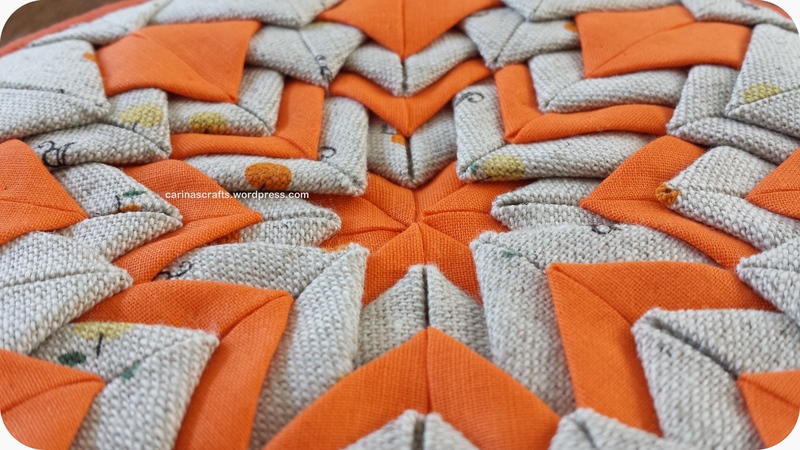 I love how these rectangular folded ironed pieces create a Somerset Star. I had bought this gorgeous linen material during a holiday in Taiwan. It has little lemons and oranges. 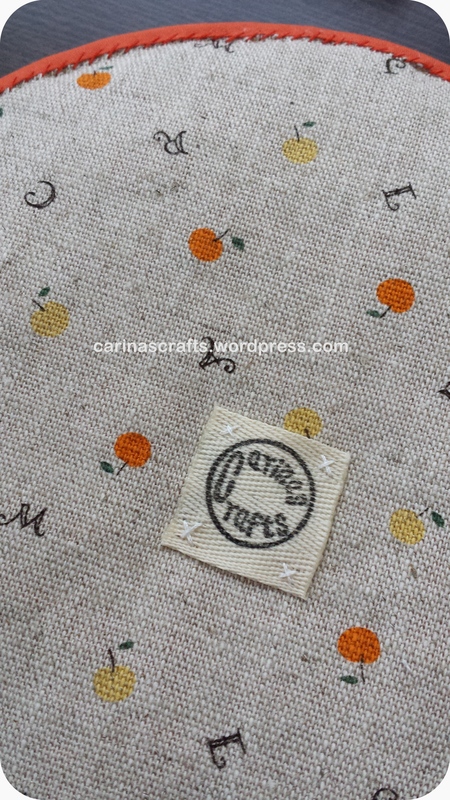 So I chose a plain cotton orange fabric for contrast. I originally want the holder to be square as I wasn’t sure how to finish off a circle and more importantly I am not good at sewing curves. 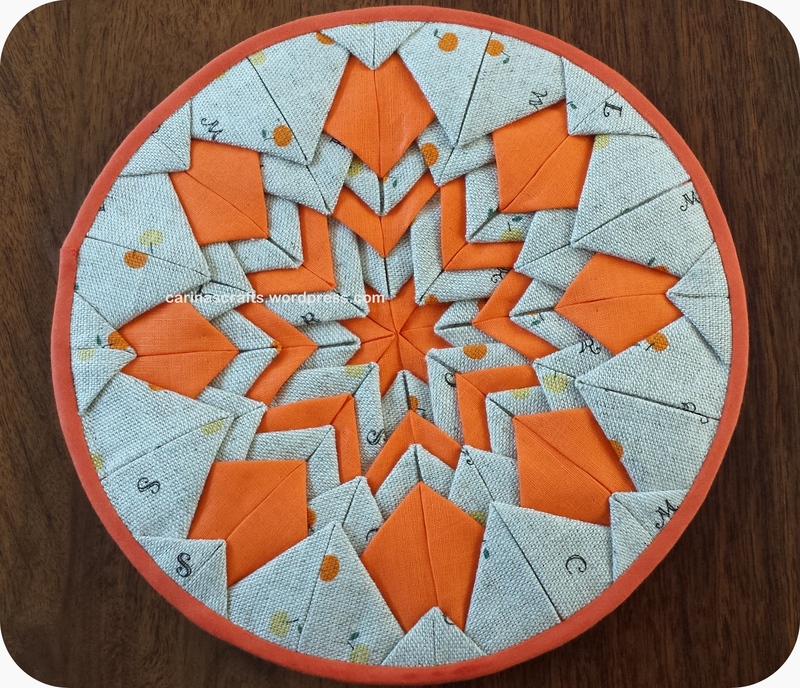 But I cut myself a paper circle template and then sewed the bias using the balance wheel – sure it took a while but it was worth it and I was so happy with the end result. The recipient loves to bake so I thought she would make good use of it. Enjoy a cuppa J! 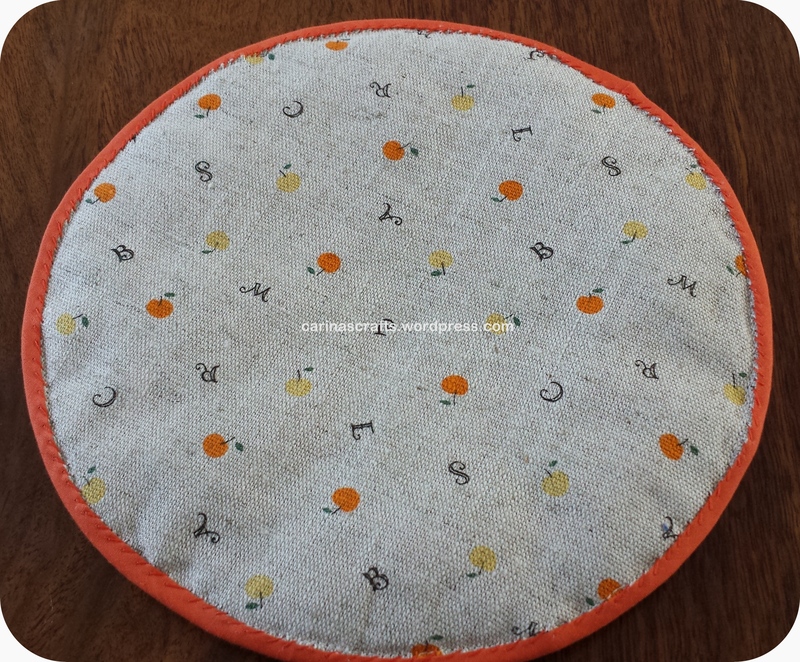 This entry was posted in sewing and tagged bias, curves, hand sewing, linen, orange, sewing, Somerset Star. Bookmark the permalink. This is great! Wonderful work and definitely worth the time and effort. Thanks Golda – yes it is. Happy New Year!